Feeling like the world is going to hell in a handbasket? Do something about it! The Polo Classic benefits Ronald McDonald House Charities of the Inland Northwest. Sometimes it can be a little too easy to focus on all of the bad things going on in the world. It's important to remember that wherever there's a problem, there's also usually an army of people willing to take on the challenge, and that's especially true in the Inland Northwest, where hundreds of nonprofits work around the clock to do good every day. From helping protect the planet and clean up pollution, to making sure that people in the community have a safe place to eat and sleep, dedicated staff and volunteers work every day to meet the needs of their neighbors. If you're feeling that same need to do something, this list has information on just a tiny fraction of the many ways you can volunteer with, donate to, or support local efforts to make our corner of the world a stronger, safer and healthier place. Whether it's giving kids a safe place to spend time after school, helping survivors of domestic violence, providing a good meal and mentorship, or making childhood illness a little easier to deal with, many organizations cater to women and children in and around Spokane, and plenty of them can use a helping hand. Big Brothers, Big Sisters of the Inland Northwest is typically looking for people willing to be "bigs," especially men. The organization matches volunteers who are 18 or older with same-gender "littles" who they spend a few hours with a couple of times a month. More information on volunteering requirements at nwbigs.org. Cup of Cool Water is a religious nonprofit that works with homeless youth, providing mentorship and resources for daily needs. The organization is regularly looking for volunteers willing to work three to four hours a week as mentors, and also offers internships. More info at cupofcoolwater.org/get_involved. Boys and Girls Clubs of Spokane County caters to kids from 6-18 and offers programming both after school and during breaks in the school calendar, including summer. Volunteers might be able to do help with homework, teach a skill or art project, coach a team or help in some other way. More at bgcspokanecounty.org/volunteer. Wishing Star Foundation grants wishes to children with life-threatening illnesses in Spokane, the Tri-Cities and surrounding areas who are between the ages of 3 and 21. Those wishes depend on the work of volunteers throughout the coverage area, who help meet kids, run events and more. Information on how to get involved at http://wishingstar.org/get-involved/volunteer. The Lexus Polo Classic benefiting Ronald McDonald House Charities of the Inland Northwest will take place Sept. 9, 2018, in Airway Heights. 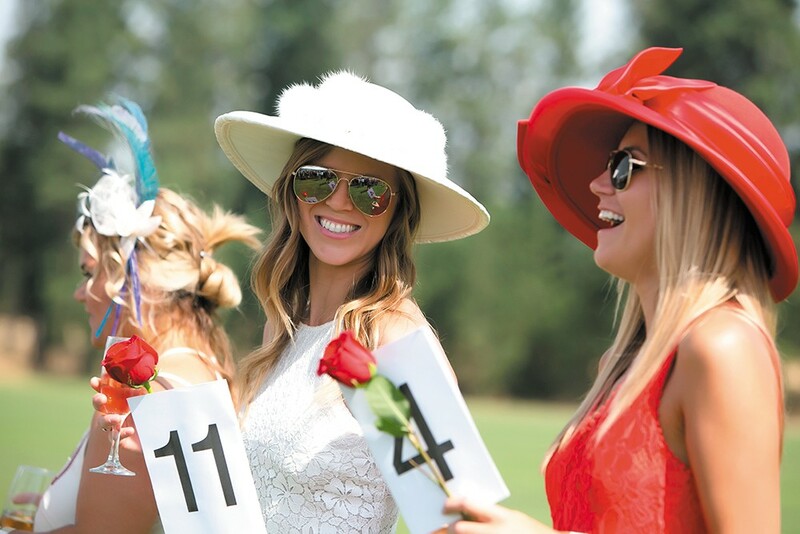 In addition to polo, the event features catered food, beer, wine, cocktails, silent auction, a champagne divot stomp, a whiskey and cigar tent and more. The charity polo event is $200 per person or $3,000 for a table of 10. Info at rmhcinlandnw.org/events/polo-classic. On Oct. 2, 2018, Transitions will host its People Who Care event at Hotel RL for either a breakfast or lunch, or you can attend both. Each meal will feature a short program with a keynote speaker and real stories of how the organization impacts the lives of women and children through services that include Miryam's House, Women's Hearth, Educare, Transitional Living Center, and the New Leaf Bakery. There's no suggested donation, but guests are asked to donate what they're able to. More information at help4women.org/people-who-care. Each June, the Vanessa Behan Crisis Nursery hosts a fundraising luncheon that's free to attend, with requests for donations made during the event. The organization provides safe care for at-risk kids and is working on expanding to be able to serve even more of the children in the area, as they had to turn down 2,500 requests for care in 2017. More information at vanessabehan.org. There are several ways to help the YWCA of Spokane, which helps women and children as they escape domestic violence and works to reduce violence in the community. In addition to attending benefit events like the annual Women of Achievement luncheon, which is on Oct. 4, 2018, find information on donating money, food, clothing, household items and more at ywcaspokane.org/how-to-help/donate. Family Promise of Spokane runs a variety of programs for families, including the Open Doors shelter, which provides a safe space for homeless families to be able to stay together while they access services. The shelter is typically in need of donations such as diapers, food, toiletries and more. More information at familypromiseofspokane.org. While many people love and care for their pets, the unfortunate reality is that every year there are hundreds of animals that are neglected, abused or abandoned. Fortunately, plenty of local organizations work to rehabilitate and rehome animals throughout the region, and they can always use your help. From caring for animals as a foster family or helping out in a shelter, to offering help with planning events, gathering donated items, or designing new marketing materials, there's plenty of work for willing volunteers that want to help animals in the area. River's Wish Animal Sanctuary provides permanent homes for many kinds of animals, from rabbits, dogs and cats to horses, goats, chickens, geese, pigs and more. Orientation tours for those who want to volunteer are scheduled at the refuge, near Riverside State Park on Sept. 15 and Oct. 13. More info at facebook.com/riverswishanimalsanctuary. Spokane County Regional Animal Protection Service, more commonly known as SCRAPS, offers new volunteer orientation the second Saturday of every month, from 10-11 am at 6815 E. Trent Ave. You don't need to register before going to the orientation, but you are asked to fill out an application, and only those who are 16 or older can volunteer with the animals. 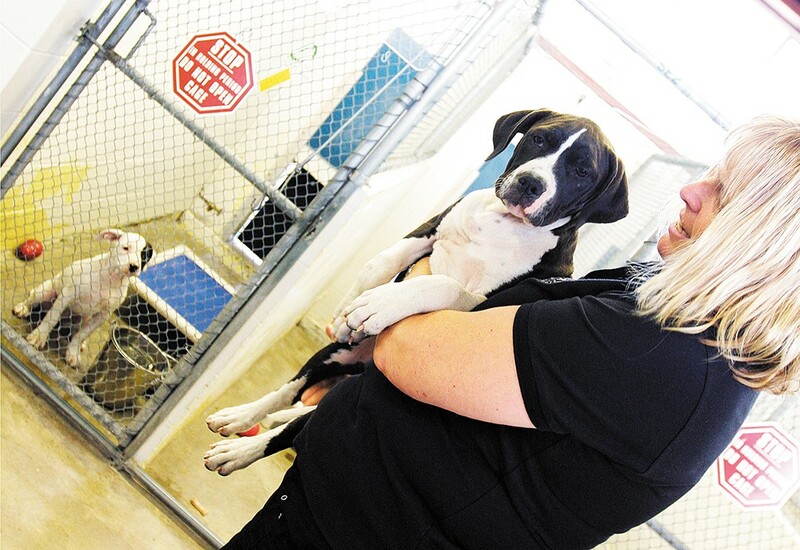 Kootenai Humane Society is often in need of more volunteers to foster animals while they arrange a forever home, as well as help with its thrift store, customer service and fundraising. Learn about current opportunities at kootenaihumanesociety.com/volunteer. To volunteer with the Spokane Humane Society, send in an application at spokanehumanesociety.org/volunteer and you'll be emailed information on training and volunteer opportunities. Every year in November, the Spokane Humane Society hosts its annual Furrball to raise money with a multi-course dinner, cocktails and silent auction. Tickets for the yearly fundraiser can sell out in July, so if the Nov. 17, 2018, ball is already sold out, mark your calendar for next year. Every July, SpokAnimal hosts a free motorcycle ride and barbecue to accept donations and raise money for its shelter operations. More info at facebook.com/SpokAnimal. Partners for Pets takes in cats that are scheduled to be euthanized at local shelters. The nonprofit is typically looking for monetary donations to help with the cost of vet bills and caring for the animals. Donors can also opt to sponsor a specific pet for $15 a month until the cat is adopted out of foster care or the adoption center. Other ongoing needs: scoopable cat litter, litter boxes, toys, cat blankets and beds, laundry detergent, cat carriers and cleaning supplies. More info at partnersforpets.org. Rescue4All takes in dogs and other animals who have a hard time finding a home, whether that's because they have a medical issue or a behavioral one, with an overall goal of making sure animals survive and find healthy happy homes. Marking its fifth anniversary in 2018, the nonprofit is hoping to raise $250,000 to buy 20 or more acres to offer an official refuge service for the many animals they care for. More info at facebook.com/rescue4all. Across the expansive Inland Northwest, rivers, forests, meadows and mountains serve as a beautiful backdrop to the lives Inlanders lead. Protecting those natural resources and cleaning up historic and ongoing contamination across the region's diverse lands is the essential mission for many organizations looking for help cleaning up trash, building trails and even taking scientific measurements to track what's happening in particular areas. Spokane Riverkeeper regularly takes groups of volunteers out to throw on some gloves and pick up trash along different stretches of the river. You can find out how to set up a cleanup trip at spokaneriverkeeper.org/volunteer. Spokane Conservation District operates a variety of volunteer opportunities throughout the year, from kayaking Hangman Creek to plant trees, to restoring stream banks and farm cleanup. Information and the sign-up for volunteer opportunities can be found at sccd.org under "Employment & Volunteering." On Sept. 15, 2018, many groups will come together along different stretches of the river to work for the 15th annual Spokane River Cleanup, put on by the Lands Council. In 2017, more than four tons of debris was removed from the shoreline, and more than 600 people volunteered. More information on locations and how to volunteer at the event can be found at landscouncil.org/volunteer/spokane-river-clean-up-volunteer. On April 28, 2019, the annual Walla Walla Wine Invitational benefiting the Inland Northwest Land Conservancy will take place at the historic Washington Cracker Co. Building. Every year, top wines from Walla Walla are featured for the tasting event, which features live music. More information at inlandnwland.org. Idaho Conservation League promotes conservation, fights pollution and projects that could be bad for the environment and works to protect natural resources throughout Idaho. Find information on making donations or becoming a member at idahoconservation.org/ways-to-give. Palouse-Clearwater Environmental Institute provides educational opportunities for students and residents on and around the Palouse, working on scientific exploration, restoration efforts, sustainable living and more. Donations to the institute can be general, or go toward specific projects, such as the Urban Pollinator project, to raise awareness of how important pollinators are and improve the PCEI Nature Center. More info at pcei.org/donatejoin. Volunteers assemble meal kits at Second Harvest. One in eight adults and one in five children in our area struggle with hunger, which is why there are so many food banks and organizations dedicated to helping make sure no one goes hungry. Helping neighbors stay fed and healthy can be as easy as donating to a food drive, but there are also plenty of opportunities to volunteer in very direct ways that get food from farms, restaurants and pantries to the people that need it most. Meals on Wheels Spokane relies heavily on a network of about 750 volunteers who drive their own cars at their own expense to deliver meals to seniors. A large part of the benefit of Meals on Wheels comes not only from the food that's delivered, but the chance to talk to someone and share in community. If you want to be one of the volunteers, who in 2017 delivered about 123,000 meals, visit mowspokane.org/volunteer-1 for more information. Second Harvest is typically looking for a variety of volunteers, from people willing to sort and repack food each week for delivery to more than 250 partner food banks (and opportunities for families with kids as young as 9 to help twice a month), to teachers for cooking classes at the agency's learning kitchen and help putting on the many events that help bring in donations through the year. More information at 2-harvest.org/volunteer. 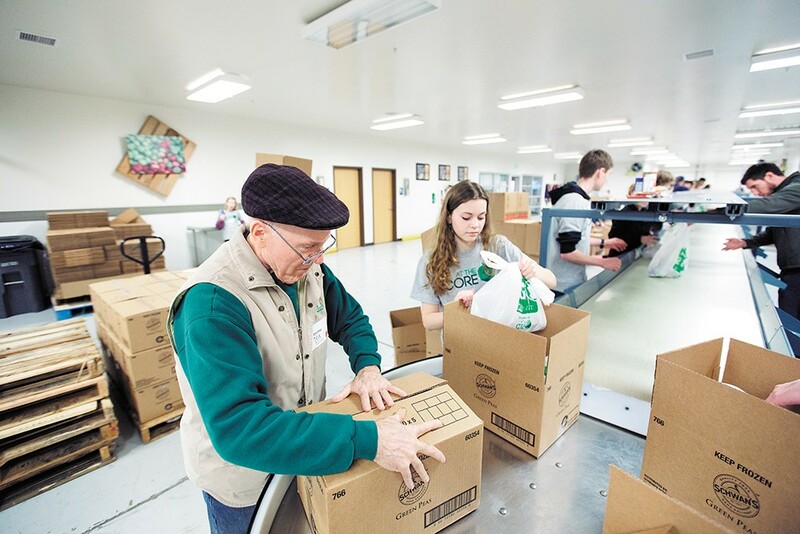 Community Action Partnership provides food for food banks throughout North Idaho, as well as a variety of other services designed to help end poverty. The organization is typically looking for help with gardening projects, organizing or assisting with food drives, assembling food boxes, picking up donations and more. Information on volunteering at cap4action.org/get-involved. From 6-9 pm Friday, Sept. 14, 2018, at Riverfront Park (South Howard Street Channel Bridge by the Looff Carrousel), Spokane Federal Credit Union will present a one-of-a-kind event celebrating regional farmers, culinary creativity and artisan producers, with a six-course alfresco dinner in Riverfront Park: the Dinner on the Bridge: Celebrating Farm-to-Fork. Regional wines and beers will be served with dinner and all proceeds benefit Women and Children's Free Restaurant & Community Kitchen's meal and education programs. Late Registration, due before Sept. 7, is $125/individual and $250/couple. Tickets and event information at wcfrspokane.ejoinme.org/2018bridgedinner. The Hunger Run benefits Second Harvest and Union Gospel Mission, nonprofits that help feed and house people throughout the region. Entry starts at $25 and more information on the run, scheduled for April 6, 2019, can be found at thehungerrun.org. Every March, you can dine at participating restaurants to make a donation to Feed Spokane, a nonprofit that saves perfectly good food from going to waste at restaurants, hotels and grocery stores and then gives that food to other agencies that provide meals in the area. More information and a list of participating restaurants can be found at feedspokane.org. For those who live on the Palouse or in the Lewis Clark Valley, Backyard Harvest accepts donations of extra produce from gardens and farms at a variety of locations in Moscow. You can also volunteer to help glean produce from residential fruit trees or simply register a tree you're willing to donate the fruit from and the organization will do its best to send someone out to collect the bounty and pass it on. More at backyardharvest.org. Similarly, in the Spokane area, you can register a tree, help glean or donate money to the Spokane Edible Tree Project. More info at spokaneedibletreeproject.org. The Community Action Center in Whitman County is typically looking for monetary donations, as well as donated food, blankets, clothing, appliances and more. Info at cacwhitman.org/donate. The original print version of this article was headlined "Do Something"